San Diego is fairly close to the adult wonderland that is Las Vegas and the close proximity makes it ideal for a weekend getaway. However, getting to Vegas from San Diego isn’t as simple as just hopping in a car and going. Here are some transportation tips to ensure your vacation is fun from the time you leave San Diego to when you get back. Vegas is just 330 miles from San Diego. Typically this takes just four and a half hours to drive with no traffic, but…there is a big but for driving to Las Vegas in terms of traffic since southern California can get so gridlocked. If doing a Friday through Sunday trip, chances are you’ll get stuck in traffic if you leave when everyone else does. On Friday, this generally means after 4 p.m. so try to leave work early that day. Or leave after 8 p.m. and start your weekend late – after all, some bars are open 24 hours in Las Vegas. Heading home to San Diego on Sunday is when you’ll really hit traffic. Everyone tends to leave around hotel checkout time (typically around 11 a.m. or noon) and it is not unheard of for it to take over eight hours to get back to San Diego. For your best bet to beat the traffic, drag yourself out of your hotel bed by 9 a.m. and hit the road. Traffic is considerably worse on the final day of a holiday weekend or when there's been a big weekend festival or event in Las Vegas. Want to make sure you don’t get stuck in that dreaded Sunday traffic? Fly to Vegas instead from the San Diego airport. (Of course you still run the risk that your flight will be delayed, but at least then you’re stuck in the airport lounge, which has slot machines in Vegas). The flight to Vegas from San Diego takes just around one hour. Vegas’ airport (airport code LAS) is located just a few miles from the city center so it’s a cheap taxi ride to wherever you’re staying. Therefore, you also don’t have to worry that the time you saved flying instead of driving will be lost in transit to and from the airport. From San Diego there are several airlines that fly nonstop to Vegas: Alaska Airlines, American Airlines, Delta, JetBlue Airways, Southwest, Spirit Airlines, United and Virgin America. Southwest is usually the go-to airline for San Diegans looking for a good deal to Vegas, but be warned its flights sell out quickly so you may still pay a premium if booking a last minute trip to Vegas. If you can go to Vegas mid-week you can really get a deal. Uber-budget airline Spirit even has roundtrip flights for under $100 – though you do have to pay for a carryon that doesn’t fit under the seat. Expert packers might be able to swing it without the extra fee if you have a large purse or duffel bag, which may be more doable than you think since you don’t need much more than a swimsuit and cover-up in Vegas during the hot summer months. You can also get a cheaper flight deal if you don’t mind having a layover in Los Angeles (LAX). Flying to Vegas over holiday weekends can also spike the ticket price by quite a lot. 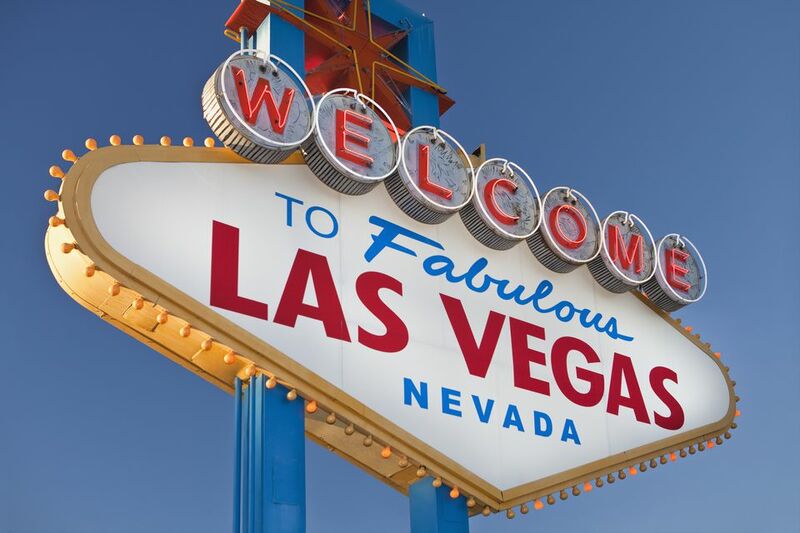 For accommodation tips when staying in Vegas, read this helpful govegas.about.com article.